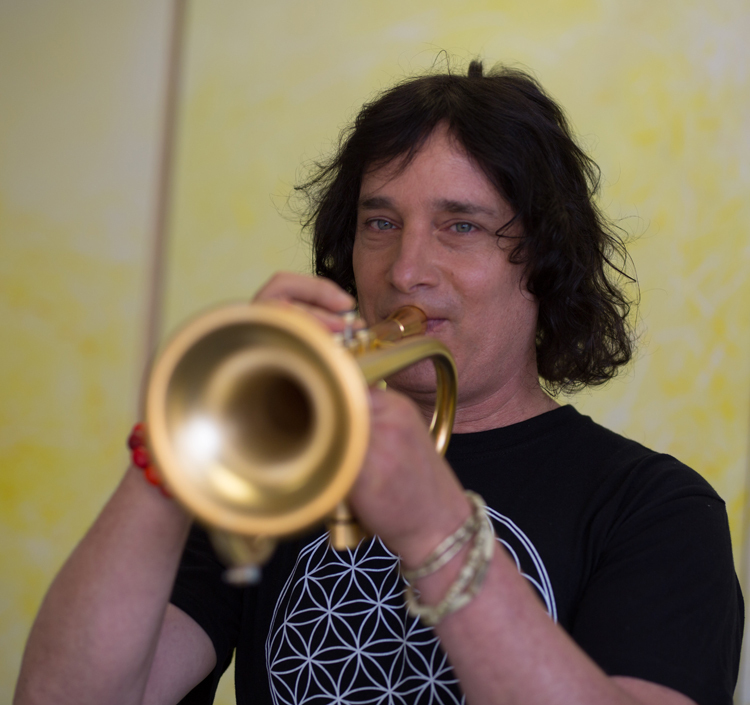 Hagai is a trumpet soloist, multi-instrumentalist, composer and educator. Born in Israel on a kibbutz started making music at the age of four. The whole family used to gather around their grandfather’s table every Saturday and jam. Hagai became a soloist with Israeli orchestras and jazz ensembles. Hagai is a co-founder of the band MAETAR (May-Tar), a member of the Los Angeles Jewish Symphony and an artist in residence in Wildwood school in Los Angeles. Hagai played, toured and recorded with great musicians from around the world such as James Gadson, Jackson Browne, Roger Waters (Pink Floyd), Susanna Hoff (Bangles), Tony Allen (Fella Kuti), Omar Faruk Tekbilek to name a few. In addition to his performance and teaching duties, Hagai is s dedicated practitioner and teacher of Tai Chi and Qigong. Hagai is committed to promoting peace and unity through music, open dialogue and love.